Hard to believe we've had our girl for over a year now! She is such a joy to our family! the dog park but mostly has bonded with my sisters 65lb female husky. They wear each other out! Here are a few pictures for you to see how much she's grown! 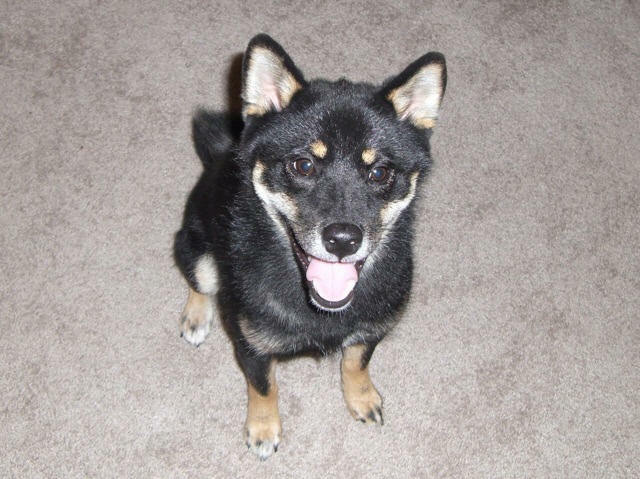 Hi Berniece, I am not sure if you remember me or not, but about a year or so ago we adopted a Shiba from you. We had to have her flown to Spokane, WA. I am writing a much delayed e-mail, but I thought I would e-mail you anyways. We named our pup Kilo, and we absolutely love her, and everyone we meet seems to as well. 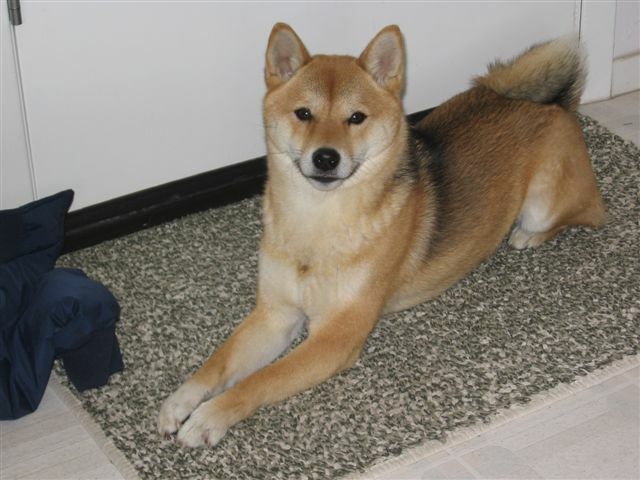 She has been a great pup and seems to be a bit of an ‘anti-shiba’, as she is EXTREMELY friendly with all people and all dogs. She loves to socialize and has been great! If you remember she was the runt of the litter, she turned out to be about 14LBS, perfect size for us. She is a fast learner and stays pretty disciplined. I have attached a couple pictures that my wife had taken of Kilo, and I just want to thank you again. We love the dog that we got from you and wouldn’t change a thing about her. 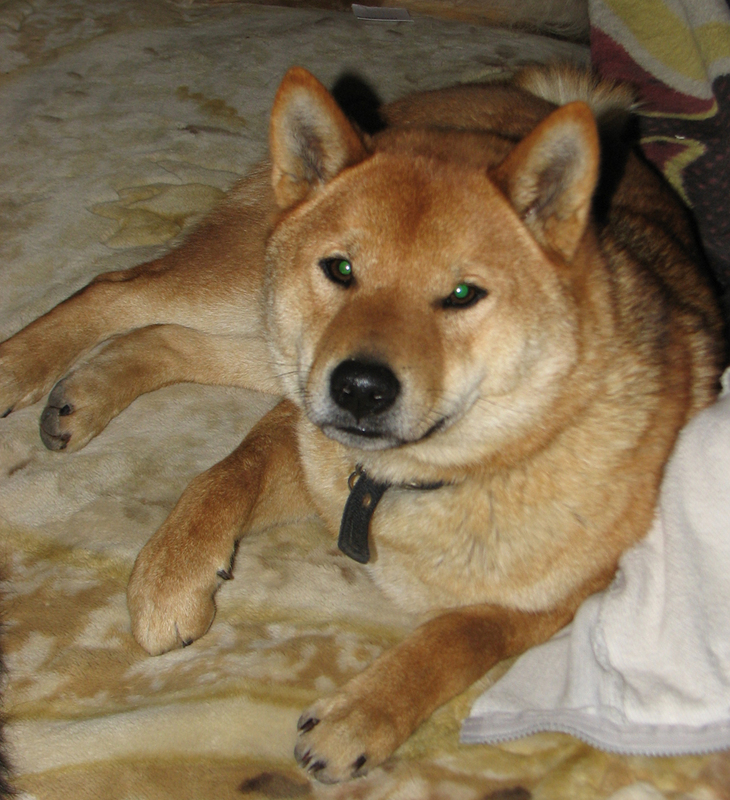 I purchased a Shiba Inu puppy from Sunshine Shibas in September of 2009. After months of searching for a no nonsense breeder who was knowledgeable and courteous, I narrowed my choice down to Sunshine Shibas. I am a past Newfoundland dog breed exhibitor and breeder, and I have experience in dealing with breeders and dog show exhibitors of various dog breeds. 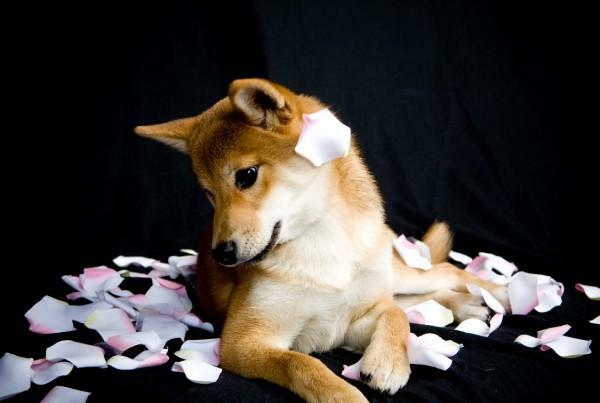 I have come across very few people, that are as knowledgeable about the Shiba Inu breed as Berniece. I am very pleased with my puppy Suki, with her excellent temperament, conformation and overall beauty. 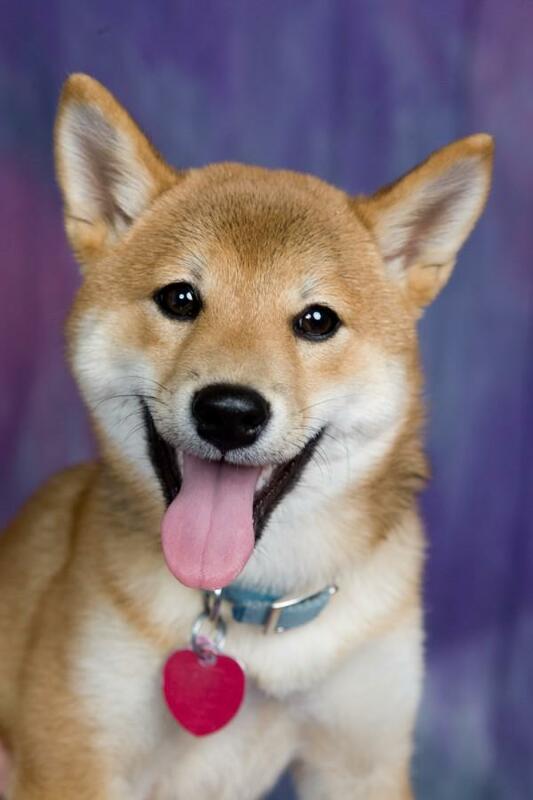 I highly recommend Sunshine Shibas as a top notch breeder of this wonderful breed. Damian, Turbo and I are doing pretty good. Turbo is now about 27lbs! We've been going to our vet every once in a while to check him up and he's been pretty healthy. He lost all of his puppy fur and now he has this gorgeous silky black Shiba fur. Time flies so fast, it's been almost a year since he was born! Happy holidays and a wonderful New Year!! My name is Yolanta- I am Nick’s wife. I am a rehabilitation teacher for the Blind and Kilo gets to go to work with me. Everybody loves her and she is extremely friendly. She just graduated (last Tuesday) from Intro to Agility and is really good at it. We are going to start the next class in January. She is in a sense a therapy dog at my work but we are going to get her Delta Certified so that she can go to the hospital with me (where I volunteer). When I take her to the groomers everyone says that she doesn't know that she's a Shiba and thinks she's a Pomeranian- she's just so friendly. Plus, she is really photogenic and poses for the camera- as you can see. Anytime, you want to talk about her I am happy to talk about her. Thank you so much for giving me the gift of such a WONDERFUL dog. She was worth every last penny. And continues to get spoiled everyday. We are so thankful that we met you Berniece. Maki is now 7 months old and a central part of our family life. 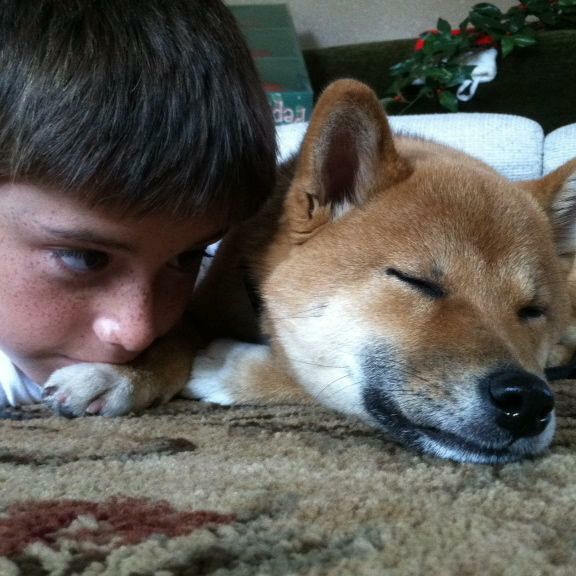 He has shattered most of the Shiba stereotypes, we believe greatly due to the love that he received in your home and continues to receive in ours. He is very affectionate with everyone we meet and quickly becomes a star wherever we go. It's easy to forget that he's still a pup because he just doesn't display any unwanted behavior. He socializes well with other dogs and has stunned our trainer with his obedience at this young age. What a great companion he has become! Maki goes everywhere with us and always has a good time. At the end of the day, he lays down in the family room with us, receives his nightly massage and then quietly puts himself to bed ...... then he sleeps in until 8 the next morning without making as much as a peep. What kind of heavenly gift is this pup? When you get flooded with calls from Northern California, you can blame Maki! When we saw a picture of the puppy on the Lee’s website, we immediately fell in love! We emailed the Lee's regarding the puppy. The Lee's were very nice and upfront about buying him. We drove down to pick up Aki Hiro (as the puppy became named). While we were there, the Lee's were very gracious hosts. We were able to see all the dogs they have including the parents of Aki Hiro. The dogs were all well-taken care of and very lively and healthy. The Lee's let us know that if we had any questions or concerns that we could contact them right away. Aki Hiro has grown into his own. He is extremely handsome and healthy. His posture is good and his gait perfect. 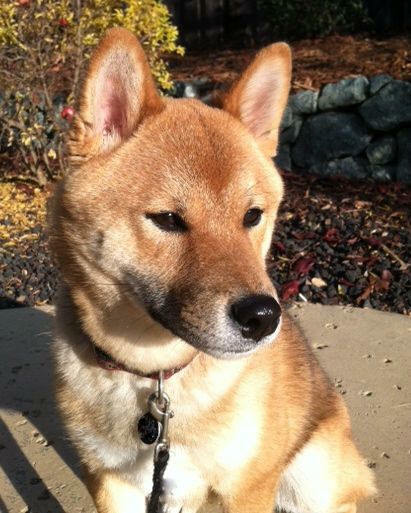 Some of the people who have seen him have said that he is one of the most handsome Shiba Inus that they have seen. They have also said that he is show quality.